The Mary Sue reports that the costumes, which were previously categorized by suggested gender, are no longer being stuck into the traditional pink and blue boxes that help parents identify whether a getup is for their little prince or their little princess. Instead, the retailer has realized that Halloween’s a time when kids just get dressed up, so there’s really no harm in a five-year-old boy coming to school as Belle or an eight-year-old girl rolling into a Halloween parade made over as Buzz Lightyear. While no complaints have been made yet, it’s likely that Disney will receive at least some of the same backlash that Target did when it chose to take their children’s toys and bedding sections into gender neutral territory. After all, what kind of chaos will the world descend into if a boy shows up to preschool in an Ariel sweatshirt, as opposed to one with a character from Cars on it? 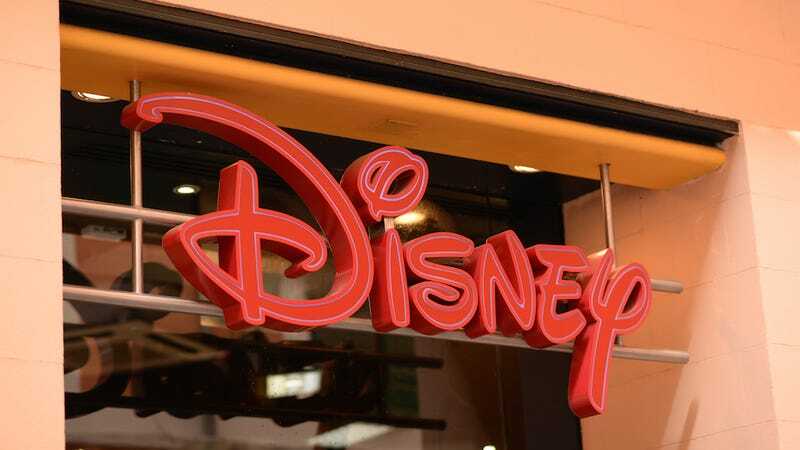 Not only that, but Disney Store has begun listing products such as “Star Wars,” “Marvel’s The Avengers” and action figures under toys for young girls. This may be due to internet backlash for Disney’s distinct lack of Black Widow during the release of the Avengers, including from Avengers actor Mark Ruffalo. Costumes are available now. This year’s collection—Disney always themes its costumes—is called “I Am Awesome,” and will hopefully encourage more kids to dress up as who they really want to, as long as their dream costume includes a Disney character. To be fair, though, the selection, which includes a light-up Rapunzel gown, is pretty sick.